I have a love hate relationship with juice cleanses. I love the idea of it, the taste of it and the results, but I miss cooking, sitting down for a meal and I’ll admit it...feeling full. Towards the end of my pregnancy we had a few complications that put Axel and I in the hospital for about 6 weeks. Things turned out ok, but the experience left us exhausted. On top of that, we had been living on a diet of hospital food and takeout which only made us feel more run down and unhealthy. Once it was all over and we were happily back home, both Chris and I knew that we needed a reset. We needed to cleanse our bodies and start over so to speak. I was beginning to forget what fresh spinach and tomatoes taste like. 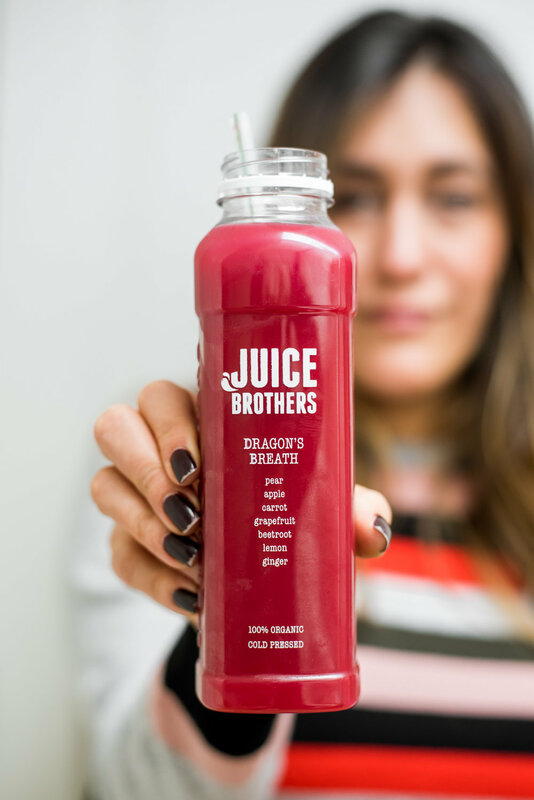 Amsterdam – the city we now call home – has several companies offering juice cleanses, and we had read some great reviews about Juice Brothers. Now at first glance Amsterdam might appear to be a difficult place to diet. It is full of delicious food and much of it is not the healthiest (those Vlaamse Fries are nearly impossible to resist). For us however, the city was perfect for several reasons. When doing a cleanse it is easy to get antsy and bored. We quickly realized just how much time we spent doing things related to food, whether that is shopping, cooking or actually eating. We needed to find things to fill our time and luckily Amsterdam is full of them. Even better, those things are usually healthy activities in themselves! The whole city center is set up for pedestrians and bicycles rather than cars, so we could fill our time wandering and peddling around. Sometimes we had a destination and sometime we were just exploring, but often before we knew it we had gone for several kilometers without even realizing it. Another advantage was that so much great produce is grown in the Netherlands. An array of fruits and vegetables are grown locally, making them both healthy and delicious. This meant that everything that went into our juices would be of the finest quality, and the end result would be incredible. When we had finished this would also help us keep a healthy balance to our diets and allow us to indulge every now and again. This would help us continue the good work of the cleanse and maintain healthy bodies and minds – essentials when traveling for long periods of times. 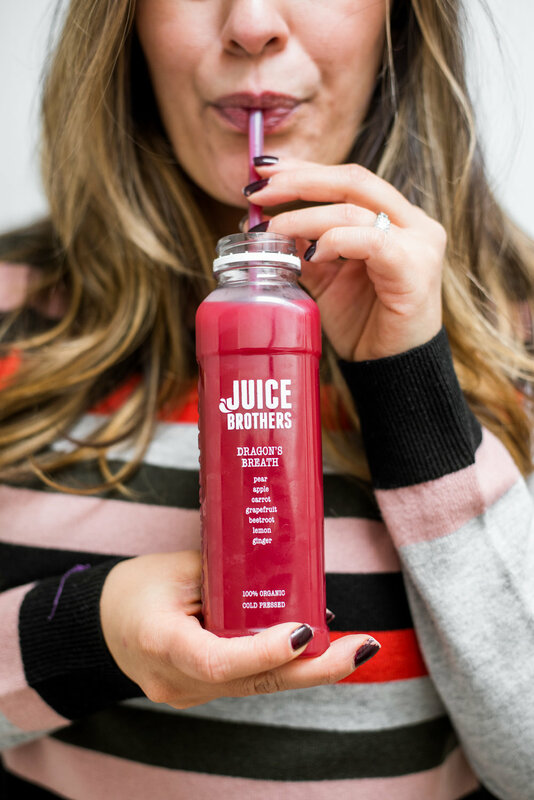 Juice Brothers has been around since 2013 and uses a cold press method of production which ensures that none of the goodness of the ingredients is lost when making their juices. They have grown rapidly and now sell their products from seven shops in both Amsterdam and New York. You can pop in and buy a bottle or commit to a one day, three day or five day cleanse. There are also three levels of cleanse with different combinations depending on how seriously you want to take it. We went for the three day deep cleanse, placing our order online. The next step was to clear out our refrigerator as we would be receiving a total of 42 bottles. We would be given six 420ml bottles a day each and one shot each to be drunk daily. All that was left was to pick it all up from our nearest outlet. This wasn’t our first cleanse so we had an idea about what to expect. I would get cranky as I started to miss cooking and eating, whereas Chris would annoyingly feel great throughout the process. Just as we expected, on the first day I found myself itching to prepare a meal while Chris took it in his stride, working away at his desk while sipping away. 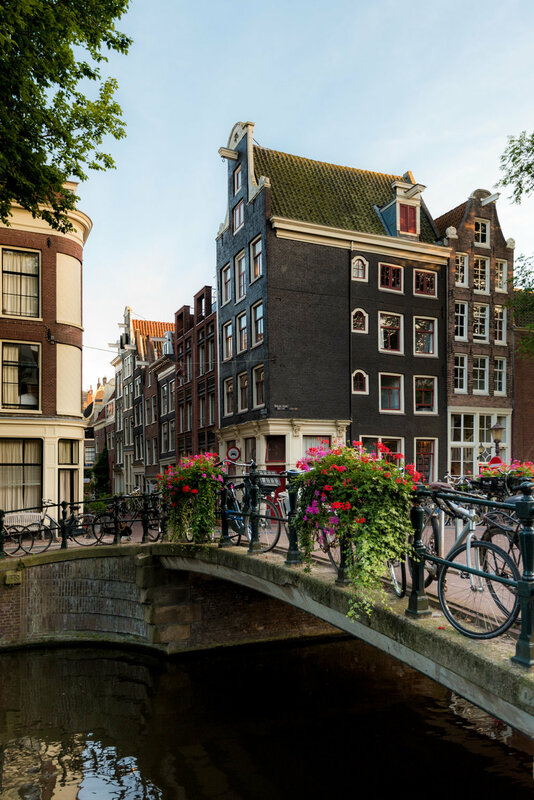 To ease us through the second day we went out for long walks around Amsterdam’s city streets. The third day was the toughest for me, but as always Chris was still exercising his self-discipline and showing no signs of struggling. 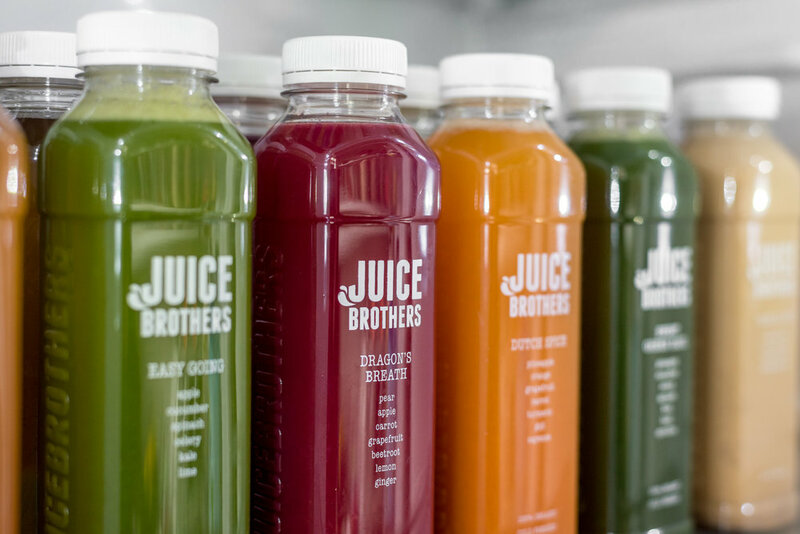 While surviving off nothing but juice for three days was a challenge, it was certainly made easier by the quality of the drinks that Juice Brothers provided. My favorite was the Vanilla sky, which was the last juice of the day. It was a mix of almond milk, coconut sugar, vanilla powder and Himalayan salt. I still crave that in the evenings! Chris’s favorite was Dutch Spice which was a mixture of pineapple, orange, grapefruit, carrot, turmeric, goji, cayenne. He loved the spiciness of the flavor. He loved it so much that he would have happily continued past our third and final day. The quality of the juices was enough to put all temptation to eat from his mind. I felt much the same, but struggled a bit more than he did – especially in the evening. For me it was a total mind game. I was never actually hungry, but I did find myself craving food and missing cooking. In the end, even if the experience had been horrible (which it wasn’t), the most important thing was the final result. Once the three days were up we were feeling refreshed and healthy. Our systems had been given a much needed break, and although losing weight was not the main goal we both did shed some pounds. We had a ton more energy and felt better all round. It has now been just over a month since our cleanse and we are both considering doing another. 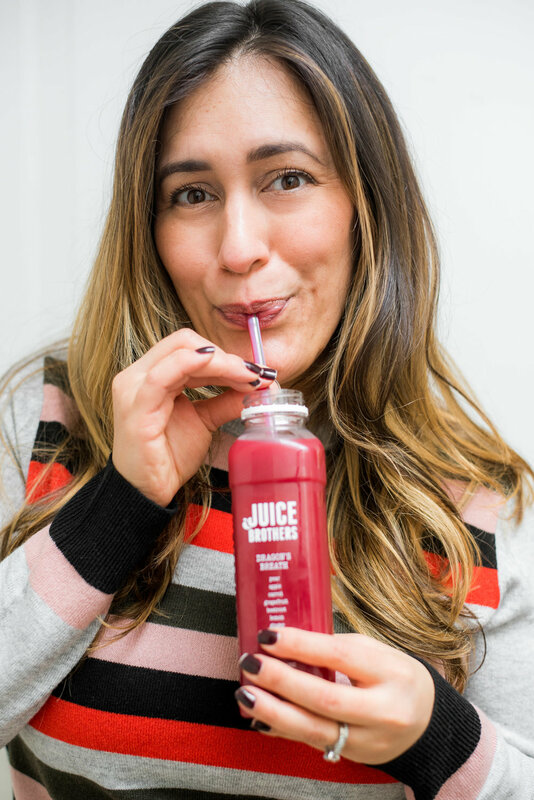 Juices have become a permanent fixture of our diets, and we will happily cross the length of whichever city we find ourselves in to find a good one. We have also been experimenting with making them at home – coming up with all sorts of crazy concoctions. 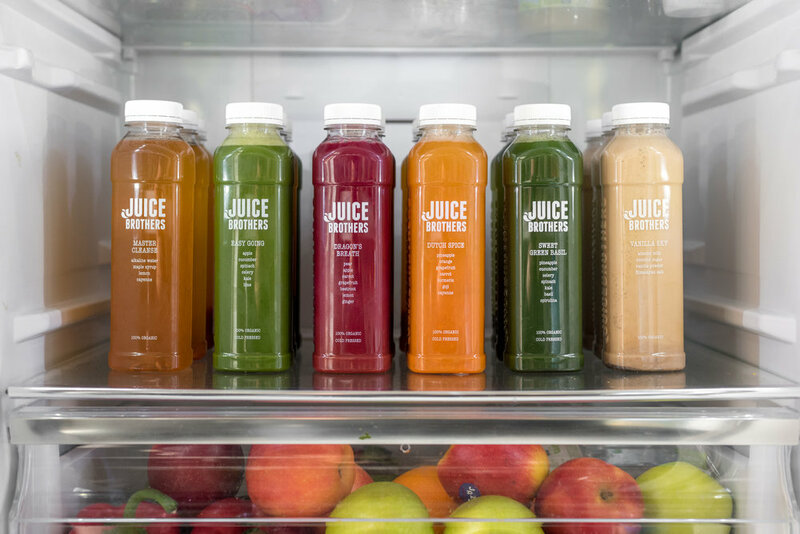 This was all inspired by our experience with Juice Brothers, and so the benefits of the cleanse have lasted much longer than the three days we did it for.